Dress, food, venue, guest list, theme, color scheme, shoes, groom/wife, candles, cakes, flowers, wedding planner, candles, shoes, wedding invitation cards. There’s so much to do and so little time. It’s difficult to prioritize between venue and cakes, wedding invitation cards and the guest list. Things can get overwhelming, more so for some than for others. The secret is to not get too caught up in it all. Some girls spend years planning their perfect wedding day. They decide whether they want live music, a DJ or the bride’s drunken uncle playing the guitar. They spend hours sweating and panting over different tasting platters of cupcakes, steaks, pies, homemade gelato and grandma June’s secret cinnamon rolls. Months are spent in hunting down the perfect dress – not too poofy but not too plain, or incredibly puffed-up with countless sequins. Wedding invitation cards are designed and redesigned. The venue must be just right – maybe the service is in a church, or maybe in a peaceful meadow under the trees. Perhaps the reception is in a barn, or in cousin Larry’s run-down bar next to the beach. Some women choose the traditional route – white dress, big wedding cake draped with marzipan and tragic figurines of a disfigured bride and groom, a classy service in the family church, followed by a sophisticated reception in the town hall. Or perhaps she prefers the modern twist – some colored dress with no shoes, on the beach with bite-sized cupcakes and cheap beer, replacing the minister with the neighbors son. Whatever path the couple chooses to take, one essential element needs to be considered: the wedding invitation card. 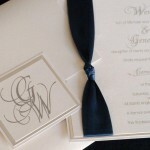 Think of wedding invitation cards as the first impression to the affair that will be the wedding. The wedding invitation card is a glimpse into the minds of the bride and groom – a peek into the plans for the big day. A wedding invitation card is much more than just a way to convey essential information – such as the time, date, venue and names of the happy couple – a wedding invitation card is a personal touch which will leave your guests jumping in anticipation. Ensure that you hit the high notes right from the start when planning your special day. A wedding invitation card is your first opportunity to leave your mark – whether it be floral or angular – in the minds of your guests. 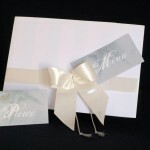 Set the tone for your wedding day by choosing the perfect wedding invitation card. A wedding invitation card is an intimate message to your closest loved ones. The wedding invitation card is the final step in cementing your special day. It can be personalized to suit your individual need – whatever color scheme or wedding theme you choose. You can either opt for the formal, traditional format or turn this event on its head and choose something that entirely represents you, your relationship and your ideas. Don’t limit yourself to only one idea – there are thousands of wedding invitation card designs out there to meet your every desire. Although it might seem trivial and rather old-fashioned, the wedding invitation card makes up a big part of this circus we call a wedding. The wedding invitation card has come a long way – as have you and your partner. Before the invention of the typewriter, the responsibility of the announcement of a wedding fell squarely on the shoulders of the town-crier: the middle-ages equivalent of a tabloid magazine. With the introduction of the printing press came the use of newspaper and, as fashion would have it, weddings were announced in –what would today be – the classifieds. Technology advanced and with time individual wedding invitation cards began circulating among the middle-class: eventually it was even possible to print each individual’s name on the wedding invitation card. It wasn’t until the industrial revolution that the quality of print on the wedding invitation cards improved – blurred lines made way for sharp, focused letters and images which lead to an all-round more extravagant affair. Wedding invitation cards were hand-delivered to the guests, something which has been replaced by the modern postal system. If nothing else, the wedding invitation card pays homage to tradition and times gone by, a simpler time when impressing your guests was a major part of any wedding. Even though Grandma June can’t read the fine font anymore, she can enjoy the texture of quality paper. If you choose to, she can even enjoy a delicate aroma included in the wedding invitation card. Of course, a wedding invitation card means nothing without a wedding to live up to. 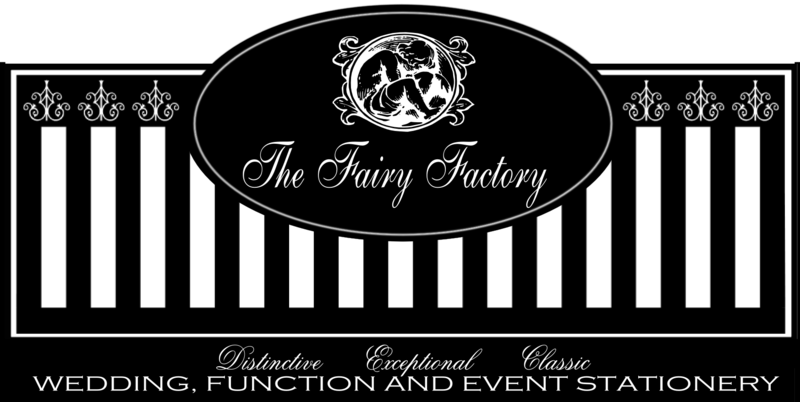 There are countless products – some extravagant and some simple – to ensure your special day remains just that. Glam it up with imported tablecloths or bring it down to earth with wooden tables and mismatched chairs. Add a touch of gourmet with delicate and hard-to-pronounce dishes or pay tribute to your hometown with some rustic, easy-to-digest snacks. Perhaps you want a giant wedding – with a minimum of 500 guests – or maybe you’d prefer a quaint and cosy get-together with close family and friends. Whatever you choose, remember to keep it authentic. Splurge on big items if you wish, or ramble through a thrift-store for the perfect dress. When it comes to your wedding day, there are no rules, only suggestions. Avoid the panic of last-minute ramblings and plan ahead. Once again, this is where the wedding invitation card plays an important role – if only for its practicality. Once you’ve sent those little babies out, the ball is set to roll. As with anything else in life, taking the first step in cementing something into reality is the hardest and most complex – after that it’s (hopefully) smooth sailing. Dress? Check. Shoes? Check. Cake? Check. Wedding invitation cards? Check.